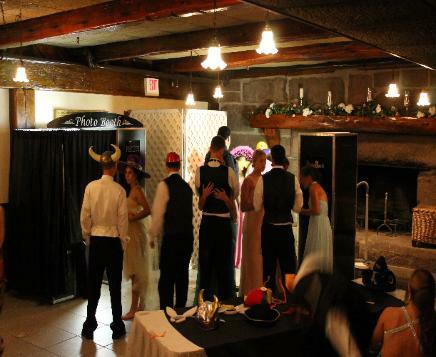 With CT Photo Booth, the possibilities are endless. Choose from full color, black & white, or sepia. Single large format 4x6 photos, a block of 4, two strips of 3, or 4. Want a custom message for your guests? We can do that too! of high quality linen and leather bound photo scrapbooks. and props for maximum versatility. an open air booth great for group shots. Special pricing is available for multiple booths! CONTACT US TODAY for a FREE no risk quote! CLICK HERE for our photo booth SELECTOR.